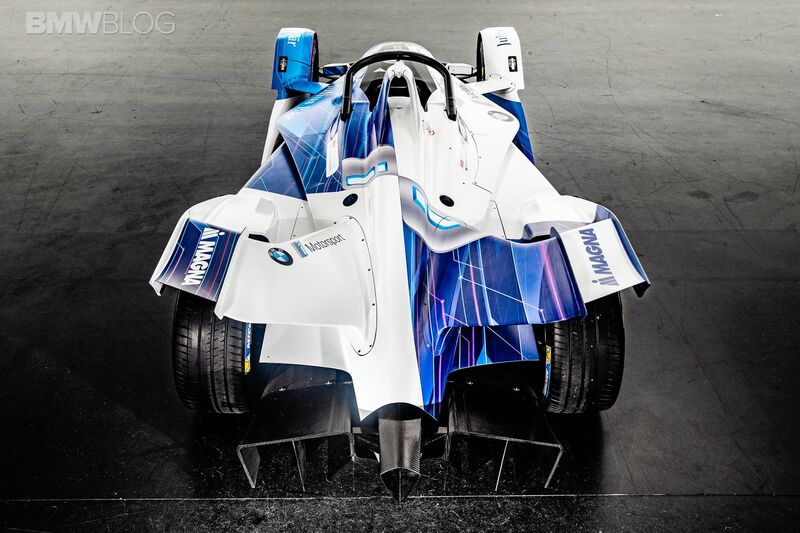 Today, in Munich, BMW has unveiled their first, fully-electric race car. 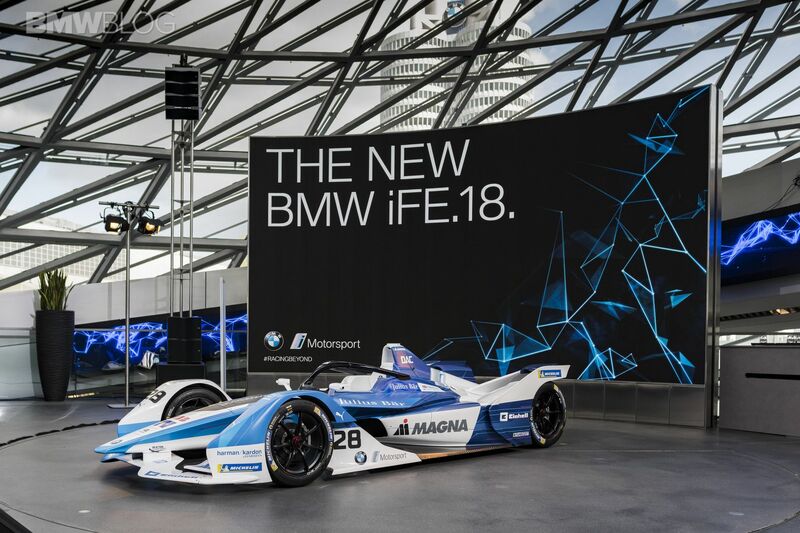 The BMW iFE.18 will join the ABB FIA Formula E Championship as of Season 5 which kicks off in December 2018. 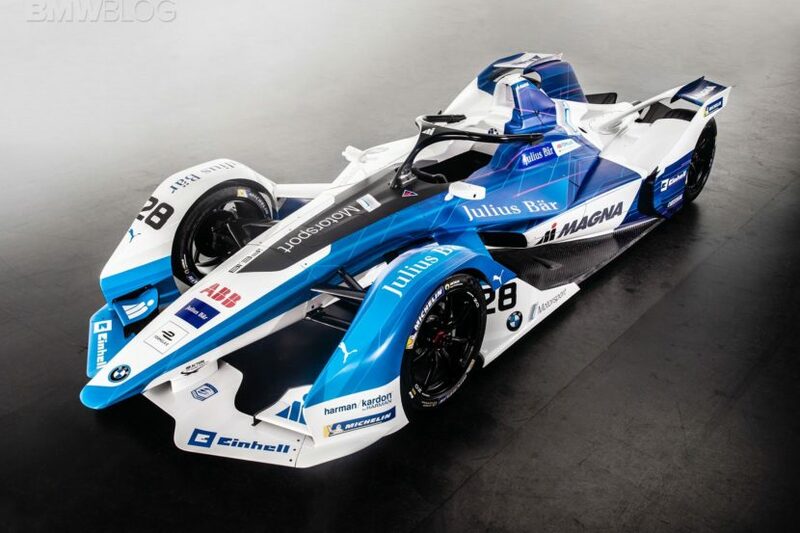 BMW says that the drivetrain was developed using the expertise of the same engineers that designed that of the BMW i3 and will have the BMW works drivers António Félix da Costa (POR) and Alexander Sims (GBR) at the wheel. The iF.18 feature the iconic blue and white quarters of the BMW logo with alternating sequence of contrasting colors. The asymmetrical layout also shares the functionally-derived non-reflective matte black cockpit element seen on 2018 BMW M Motorsport liveries. The two BMW iFE.18 cars will be fielded by BMW i Andretti Motorsport with team principal Roger Griffiths (GBR) at the helm.